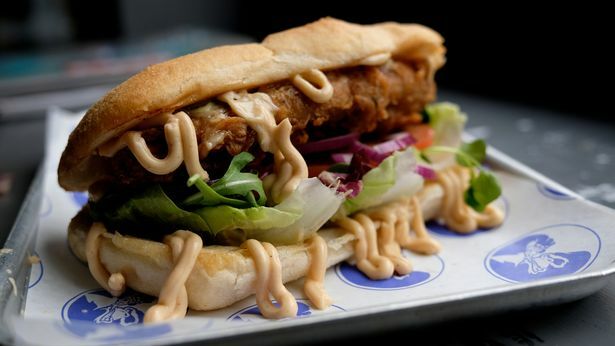 Bun Fiction is bringing gourmet vegan sandwiches and decadent sides to Kongs of King Street in Bristol. 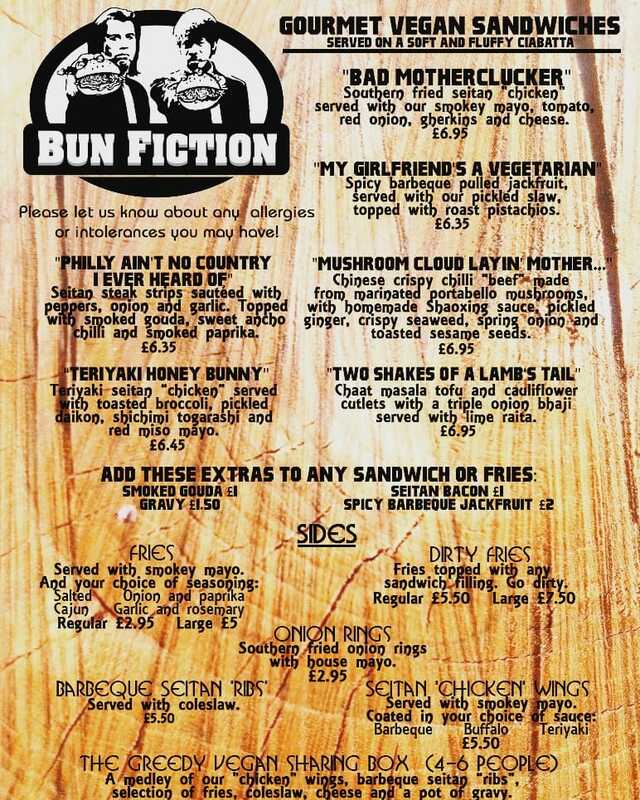 From Friday 14th September, Bun Fiction will take up a permanent residency at Kongs. 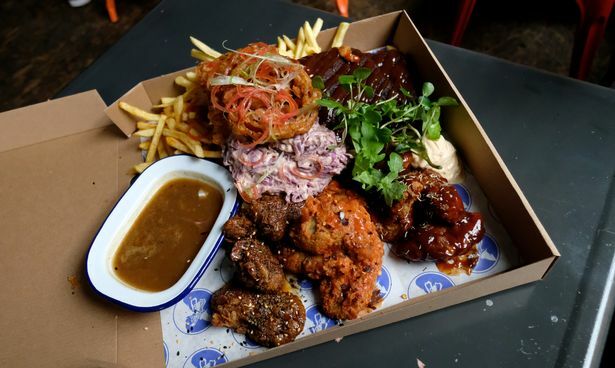 They will serve up their Tarantino-themed sandwiches and sides in an attempt to prove that vegan food is anything but boring. The vegan sandwiches are all named after famous quotes from Quentin Tarantino’s Pulp Fiction. Favourites are the Bad Mother Clucker (southern fried seitan served with smokey mayo, red onion, tomato, gherkins and cheese in a ciabatta roll) and the ‘Philly Ain’t No Country I Ever Heard Of’ (a twist on the classic Philly cheesesteak, containing seitan strips sautéed with onions and garlic and topped with sweet chillies, paprika and smoked vegan gouda). Partner Nathan Barrett agreed, and said the company was looking forward to running a residency after years of market stalls and pop-ups. Along with Ferguson-Wallace and fellow chef James Hallis, he hopes that the permanent location will help them to keep producing top-notch vegan dishes that vegans and non-vegans will love. Find out more on Facebook (@BunFiction) and Twitter (@bunfiction).